The majority of applications for recognition are filed by foreign general care nurses. Further professions we selected for a detailed overview are doctors, office clerks, electronics technicians and motor vehicle mechatronics technicians. The range of countries of origin is enormous. Bosnia and Herzegovina ranked first with 1.518 applications processed. The general care nurses, who are in high demand now, mostly come from the European countries. The majority of applications processed was submitted by those trained in Bosnia and Herzegovina, Romania and Serbia. Among the non-European countries, the most applications were filed by applicants from the Philippines. A significant share of applicants wishing to work as general care nurses receive only partial equivalence and, thus, need to complete an adjustment qualification program in order to obtain full equivalence. While the success rate of applications filed from the European Union (except Croatia and Poland) stands at over 70 %, the applications from candidate countries Bosnia and Herzegovina, Macedonia and Serbia are granted full equivalence in less than 50% of the cases. Countries with at least 20 applications processed. The majority of applications for recognition are filed by foreign doctors wishing to have their license recognised to practise medicine. The range of countries of origin is enormous. Syria, a non-European country, ranked first with 1.008 applications processed. Romania ranked second, followed by Egypt. About 250 applications processed in 2017 were filed by those trained each in Austria, Serbia and Ukraine. The recognition rate of those trained in Europe equals 100 %. In case of the non-European countries of training, the success rate is a bit lower. For example, ca. 45 % of the applicants from Syria and Azerbaijan are not granted full equivalence. Nearly the same amount of applicants form Egypt, Saudi-Arabia and Iran are granted partial equivalence. Among the crafts, the profession of electronics technician is the most frequent profession for recognition. The applications are mostly submitted by applicants trained in the EU candidate countries Serbia and Bosnia & Herzegovina. Among the EU countries the majority of applications are filed from Poland. Among the most important countries of training, only Serbia has a success rate of over 80%. 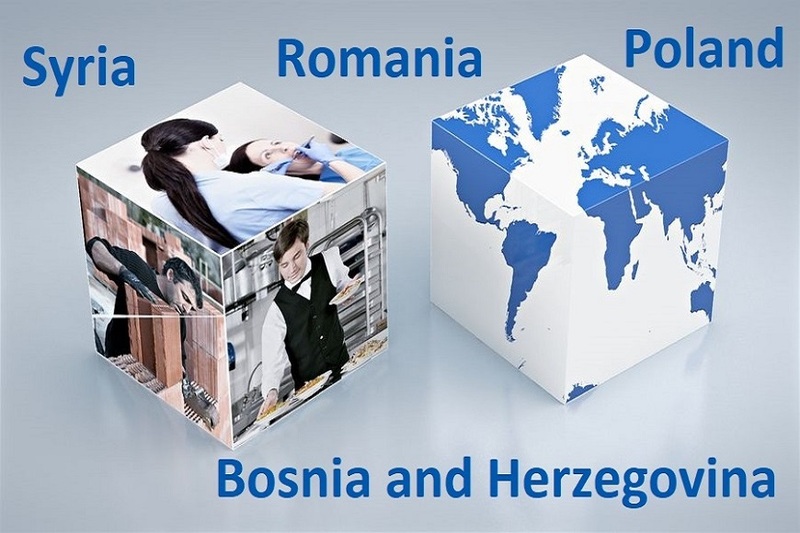 The success rate of applications from Bosnia and Herzegovina stands at 73%, followed by Poland and Turkey with a success rate of accordingly over 30 % and 50 %. The succes rate of electronics technicians who were trained in Syria is very low. Among the non-regulated professions, the profession of office clerks is the most frequent profession for recognition. The applications are mostly submitted by applicants trained in Syria, followed by Poland, Kasakhstan and the Russian Federation. Among the most important countries of training, Romania has the highest success rate of over 86%. The succes rate of applications from the Russian Federation, Kazakhstan and Poland stands below 70%. The lowest success rate in 2017 had the applicants who were trained in Italy and Syria. The majority of applications for recognition as a motor vehicle mechatronics technician are filed from applicants who were trained in Poland, followed by Syria and Romania. Motor vehicle mechatronics technician recieve rarely full equivalence. The highest success rate have the applicants trained in Romania and it stands at 45 %. Even only third applicant from neighbouring country Poland gets full equivalence. Very high is the rate of partial equivalence among the syrian applicants.